Earlier this month, Step2 voluntarily recalled about 14,000 Whisper Ride Touring Wagons. 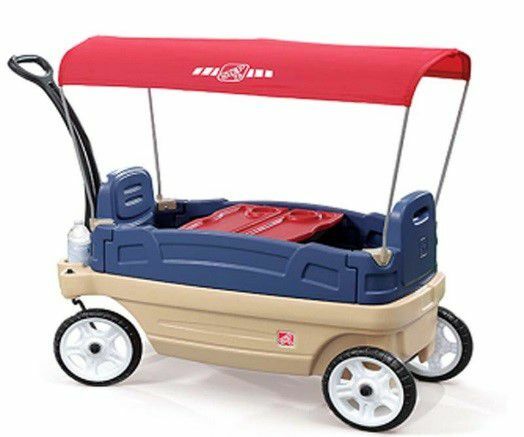 The wagon is a two seat plastic wagon with blue seats, a tan wagon base and a red canopy. The Step2 logo is on the canopy and on the side of the tan wagon base. The seat backs on the seats are removable; however, the seat backs can detach while in use, which poses a dangerous fall hazard for the children in the seats. There have been 29 reports of the seat backs detaching, 28 of which resulted in children falling out of the wagon. Fourteen of the children sustained bumped heads and nine other children had bruises, scratches or lacerations. Consumers should stop using the wagons immediately and contact the manufacturer. The wagons were sold at Toys R Us stores nationwide and also online at toysrus.com for about $130 from February 2013 to August 2013. If your child was injured by a recalled toy, he or she may be able to file a lawsuit, known as a products liability claim, against the toy manufacturer if the toy was defective. A product or toy can be defective or dangerous to consumers if it has a design defect, a manufacturing defect or it lacks adequate warnings. The wagon involved in this recall could be defective in all three ways. It could have a design defect that caused the seat backs to become unattached. It also could have a manufacturing defect that caused a specific lot of wagons to be defective because there was some manufacturing flaw. Lastly, it could be defective because it had inadequate warnings about how to properly attach and use the seat backs. With further investigation, there could also be other possible claims and potential liable parties. Post a Comment to "Wagon Sold Exclusively At Toys R Us Recalled For Fall Hazard|PA NJ Dangerous Products Injury Lawyer"